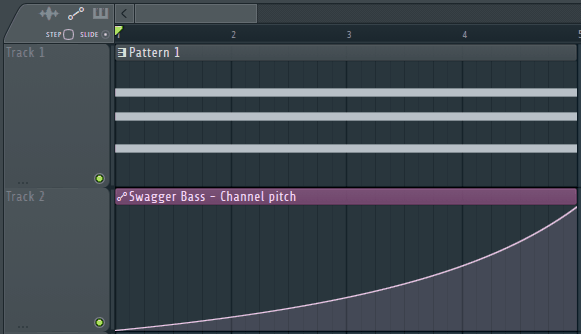 FL Studio has a very versatile and intuitive automation system. Almost any knob, slider, button, or fader available in the user interface can be controlled and programmed to do things automatically without the user actively engaged. An instrument’s pitch is one of the more commonly used parameters for automation. We can use pitch automation to build tension just before a drop or transition and in snare risers. This quick tutorial will show you exactly how to create pitch automation in FL Studio. Let’s get started. You can access the pitch control knob for any instrument by simply clicking on the instrument in the Channel rack. The window that opens will contain the pitch range control and pitch control knob. In this example, we’ll be using pitch automation on a Sytrus patch I’ve made. The pitch control parameters are located in the top right of the channel window. If they are not immediately visible, you may need to toggle the “Detailed settings” button located at the top left. It looks like a gear. The number for the pitch range is the maximum pitch shift that the knob can achieve in semitones. The default is two semitones, meaning you can decrease or increase the pitch by a maximum of two semitones. You can change the range by hovering over it with your mouse and clicking and dragging up or down, or you can use your mouse scroll wheel. 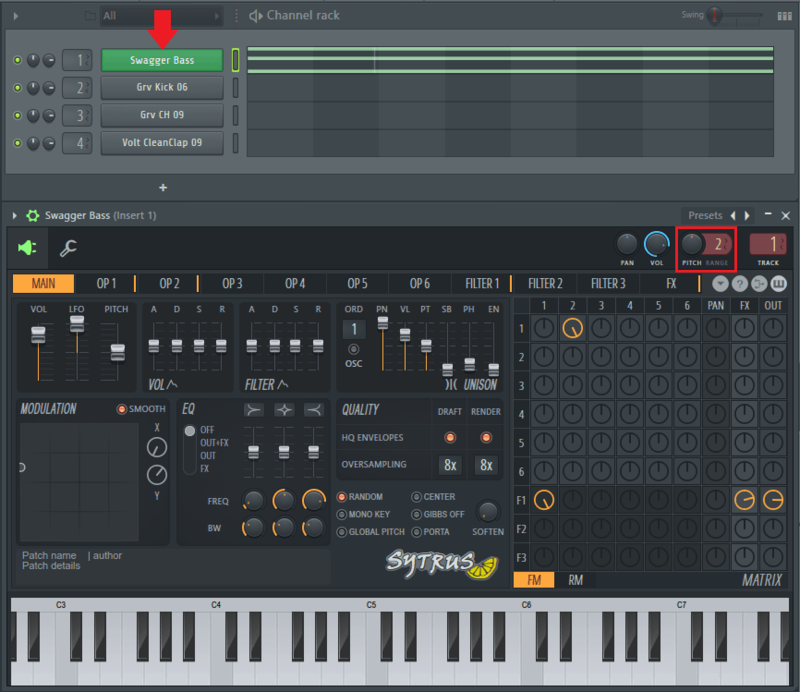 FL Studio sets the knob at dead center as a default, meaning there is no change in pitch. You can move the knob left or right to shift the pitch up or down. We will automate this knob to create our pitch automation. For pitch automation, I like to set the range to a multiple of 12, and at least 24 semitones. This allows for a full range of 4 octaves of pitch shift, since 12 semitones are equal to 1 octave and we can go to either +24 semitones or -24 semitones depending on which way we turn the knob. Once we’ve found our pitch knob and set our range, all we need to do is right-click on the knob. A menu will appear, and we just need to select “Create automation clip” to make it’s own pitch automation envelope in the Playlist. Once you’ve created the automation clip and you have a Pattern with your instrument staged in the Playlist, the last thing to do is shape the automation clip. We can use the different automation shape modes to create a pitch shift that varies with time. Make stairs – right-click on the end point and select the “stairs” option. Use the tension button in the middle of the clip to change the stair width and height. Or do whatever sounds good to you. If you haven’t already, I suggest you read my article on automation clips for more info on the different shape modes and how to customize your pitch automation clips to get them sounding exactly how you want. All done! If you liked this 100% free FL Studio tutorial, let me know what else you’d like me to cover in the comments, on the Synaptic Sound Facebook page, or YouTube channel! See you next time! Like Synaptic Sound on Facebook!